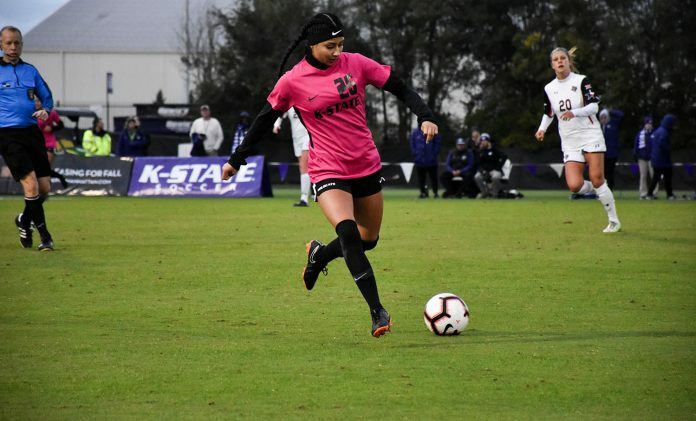 K-State soccer lost in its season finale tonight vs Iowa State, 1-0, in Ames, Iowa. They moved to 0-9-0 in Big 12 play and 4-12-2 overall, finishing last in the conference. The decisive goal came in the 73rd minute when senior midfielder Emily Steil got ahold of a loose ball on the Wildcat’s side of the field and pounded it in from 17 yards out. For Iowa State, the win and a loss by Oklahoma State should vault them into the eighth spot in the Big 12 Tournament since they beat Oklahoma State on Sunday. It is the end of the road for K-State’s 2018 campaign. K-State took most of their Big 12 opponents to a scoreless tie at halftime, ultimately losing in the second half. The Wildcats were outshot in the first half 9-5 and 14-9 overall. Iowa State had seven shots on goal to K-State’s two in the match. 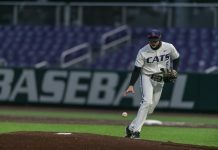 Dibbini told K-State sports after the loss that the season’s woes came down to failing to capitalize on mistakes and the fact that the program is still in its infancy. 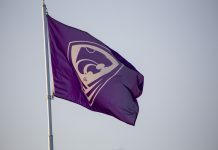 K-State soccer will resume play in a new home next season after the completion of Buser Family Park. The new stadium will provide on-site locker rooms and more permanent seating for fans than the bleachers on next to the former outdoor football practice facility provided.